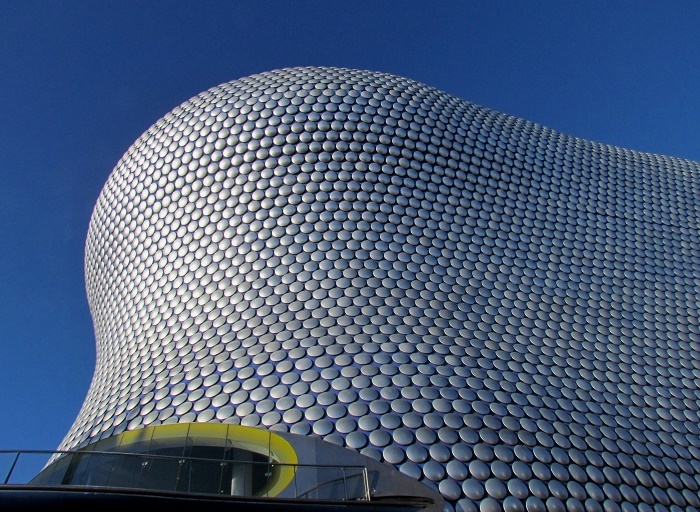 The Selfridges Building is a very impressive department store building that serves as a major landmark due to the unique shape and modern architectural style, located in the city of Birmingham, England, within the United Kingdom of Great Britain and Northern Ireland. 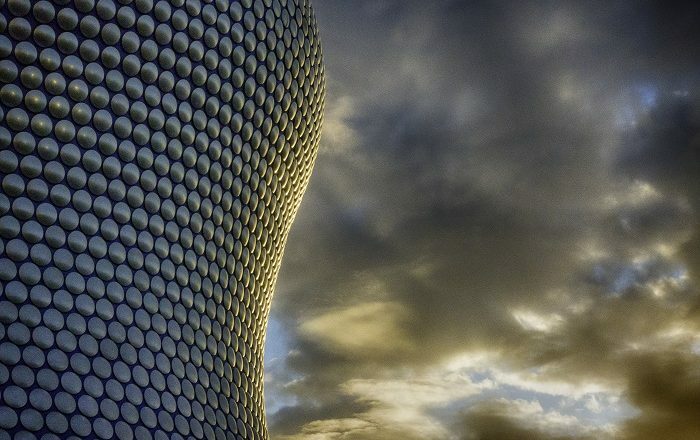 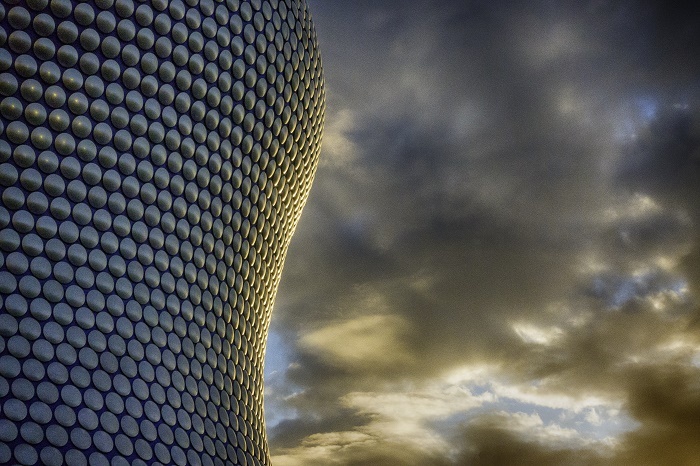 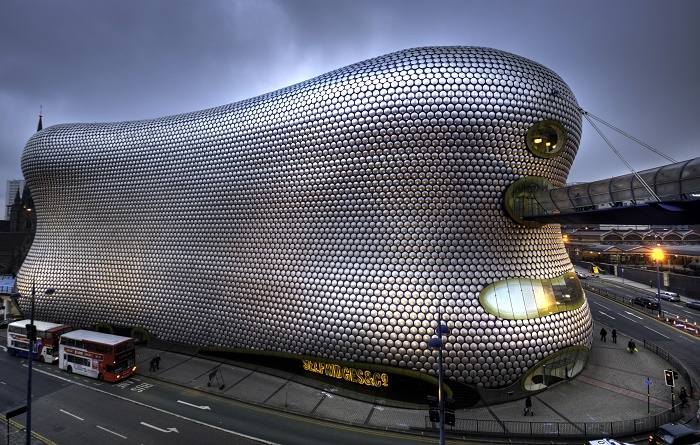 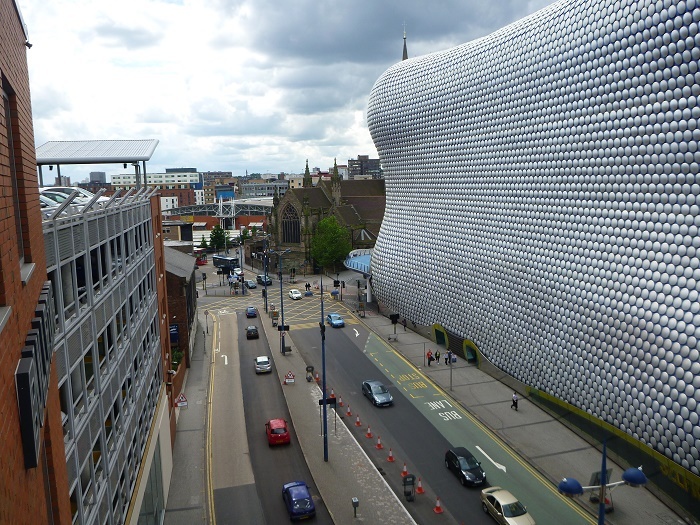 As it is part of the Bullring Shopping Centre and as it houses the Selfridges Department Store, it was designed by the architects Jan Kaplický and Amanda Levete who were working for the firm Future Systems, where construction began in 1999 and it was completed in 2003. 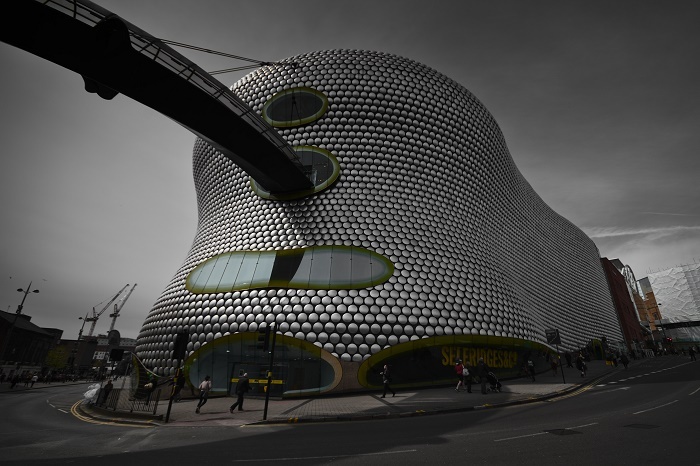 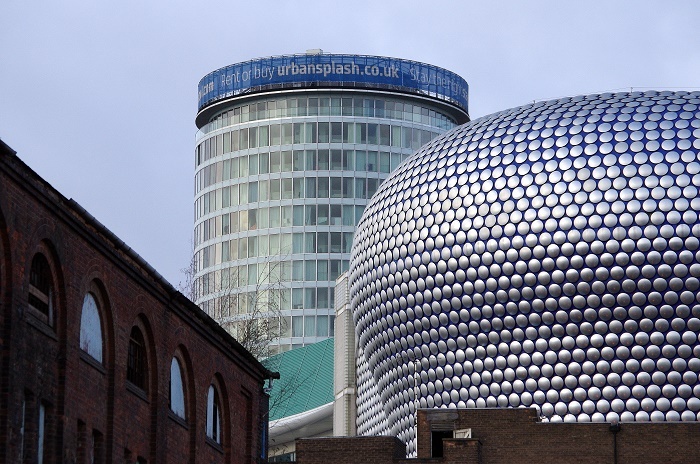 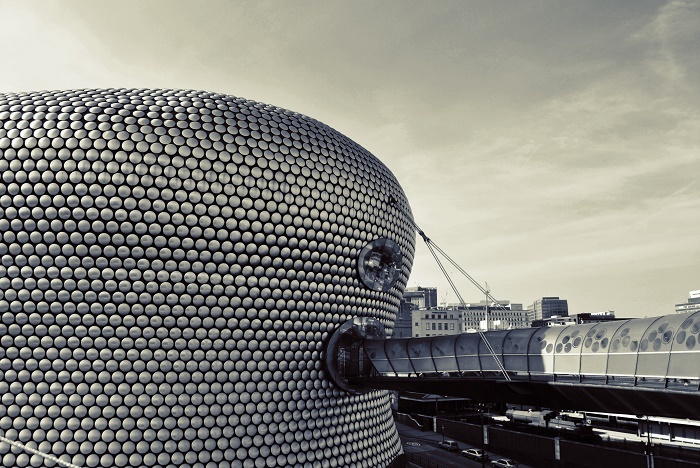 Immediately becoming a heavily discussed landmark in the city, it has a steel framework with sprayed concrete façade which due to the distinct design approach it sets the store apart from the rest of the structures in the Bullring Shopping Center. 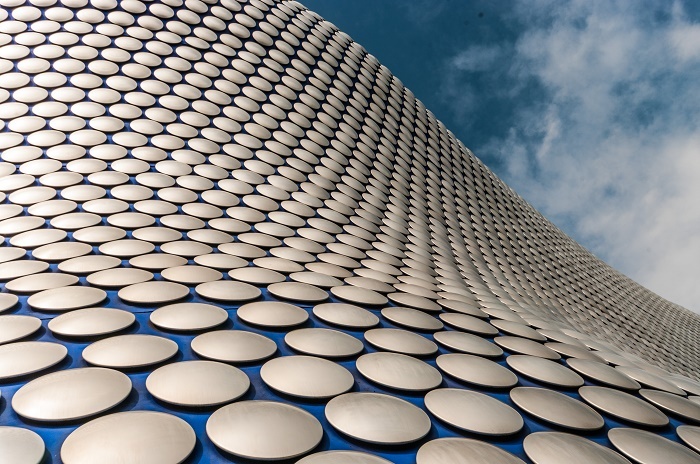 The curved façade that is wrapping around the corner of Moor Street and Park Street is comprised of about 15,000 anodised aluminum discs mounted on a blue background, which sometimes is described as a computer-age geological outcrop with a distinctive eye-catching and even jaw-dropping architectural masterpiece. 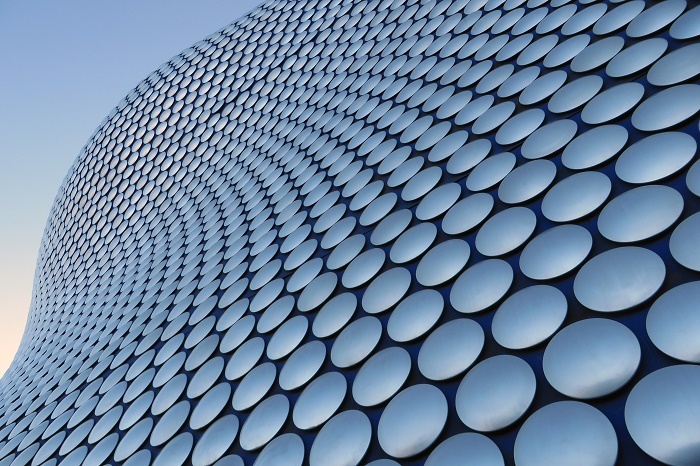 When there is a sunlight, the façade shimmers, and in the same time it is reflecting minute changes in weather conditions and taking on the colors, light and shapes of people and things passing by creating a unique animate and breathing form. 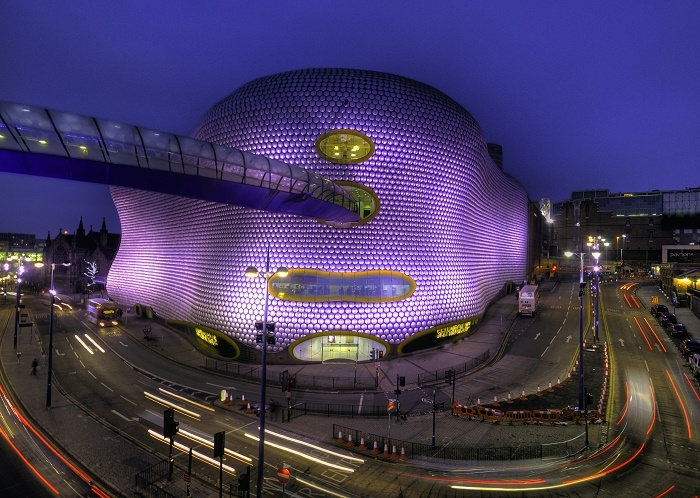 Built at a cost of about 60 million British pounds, this building has four floors and a floor area of 14,865 square meters (160,000 square feet), making it quite big, nonetheless, it has plenty of awards for its artistic design where it shall continue to bring people from all around the world to gaze at the masterpiece the architects from Future Systems created, with occasional showing on desktop backgrounds as it was the case with Windows 7.